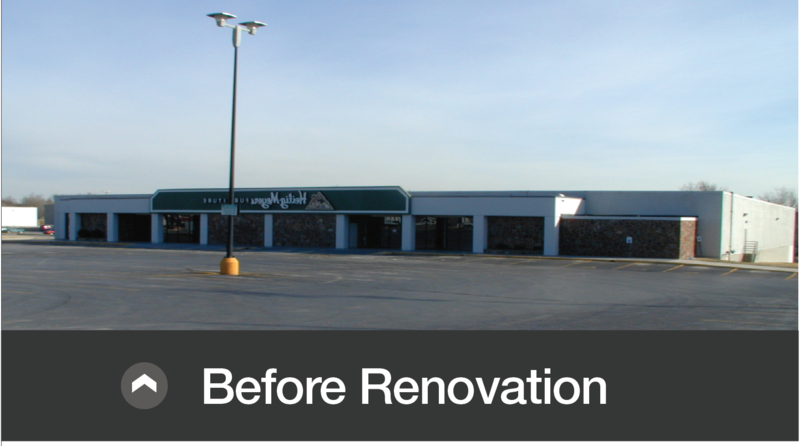 This destination library, which was previously a grocery store and a furniture store, has found a new life. 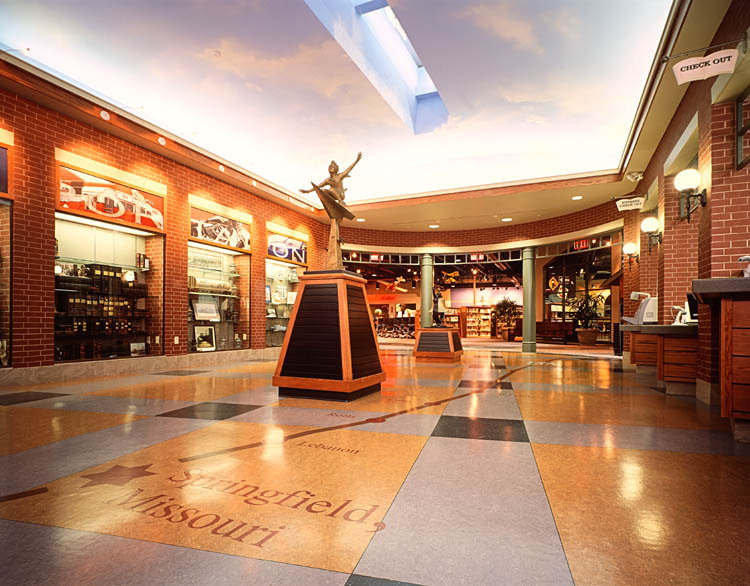 The Library station was designed around the transportation history of northern Springfield. 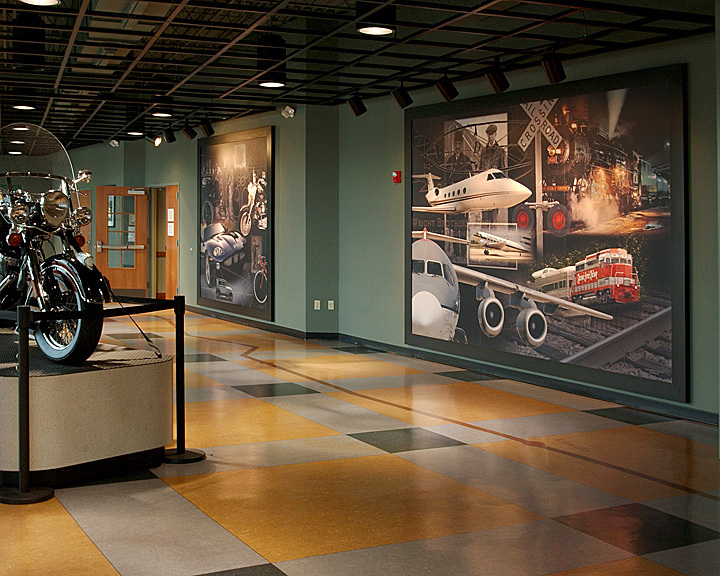 The strong thematic design creates exciting and beautiful images throughout the 35,000 square foot facility. It incorporates a streamlined checkout desk reminiscent of a sleek air terminal. 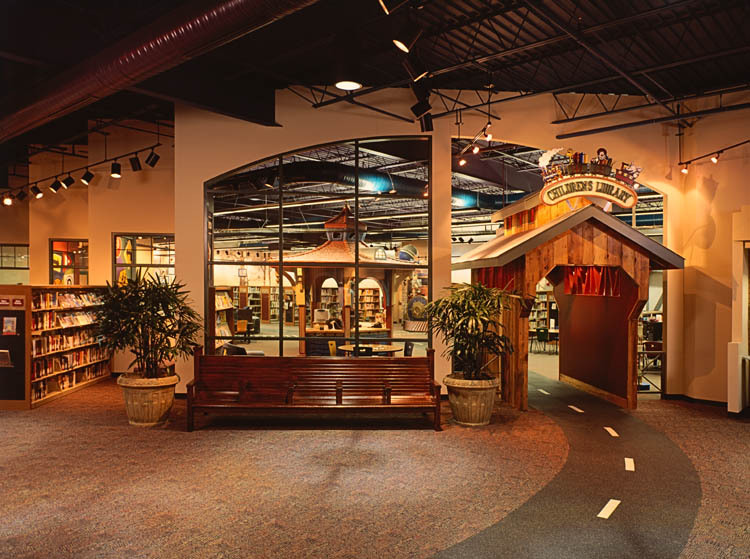 An old-fashioned locomotive decorates the children’s department, while vintage automobiles cruise the teen department. 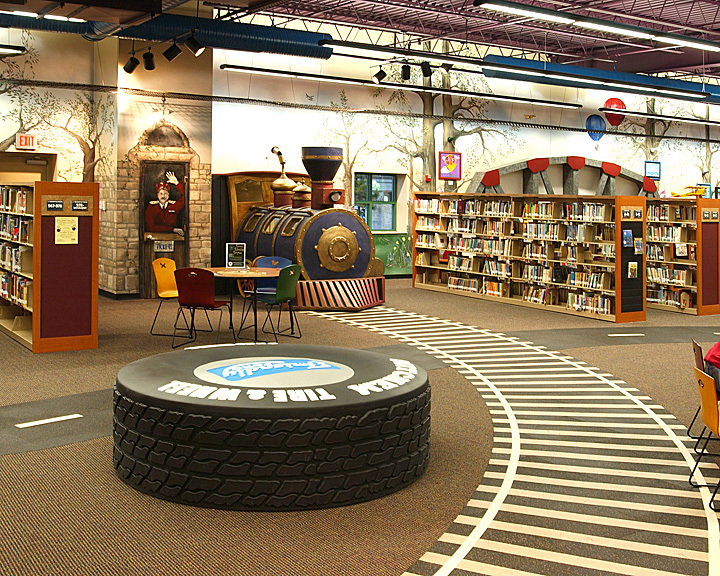 New and exciting bumped-up collections of books, DVDs, videos, audio books, educational software, audio cassettes and other materials will be displayed in thematic areas that capture the historic elements of the first stagecoach line, the Santa Fe Railroad and Route 66. 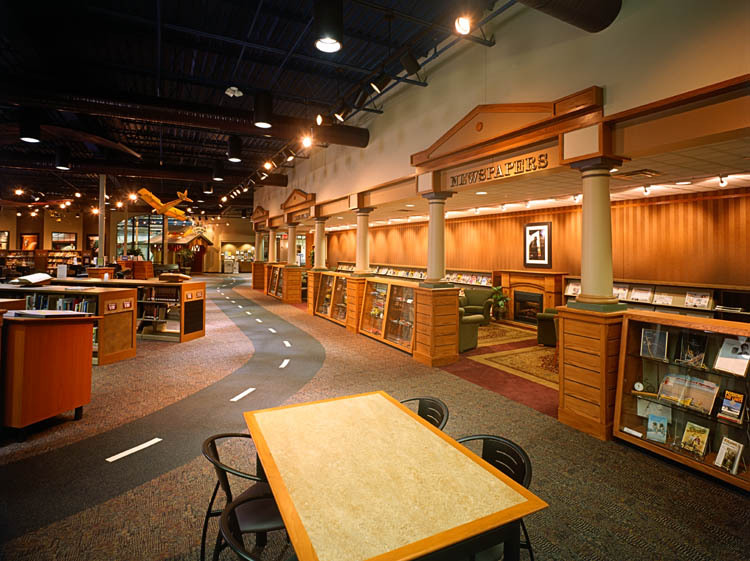 Here are more goodies: a brand new consumer-law collection, a drive-up service window, food service, auditoriums, meeting and study rooms, a computer training lab and homework center, plus automotive and genealogy collections. 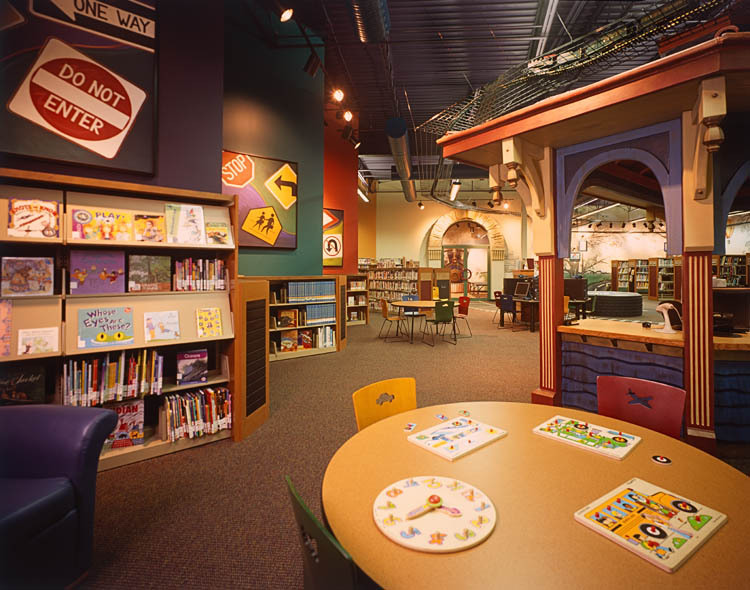 This approach to design has regenerated excitement in the use of a Library, which is evident daily by the packed parking lot. 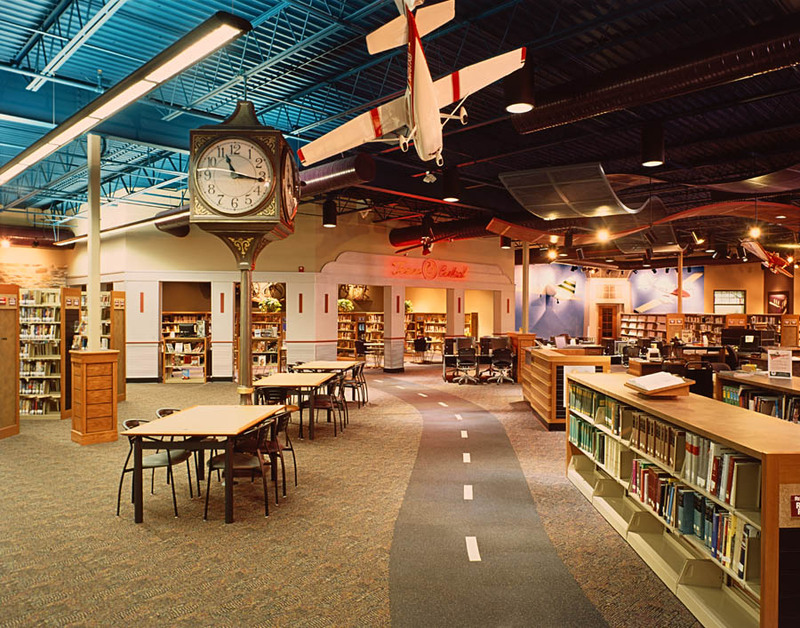 Recently, the Guest Speaker at the Missouri Library Conference visited this facility. He was so impressed he requested authorization to add this project to his traveling presentation.